ESOMAR Foundation, MRSA and WIRe offer a scholarship to a woman in Kenya! The ESOMAR Foundation in co-operation with MSRA (Kenyan Marketing and Social Research Association) with the generous support of Women In Research (WIRe) and Unilever is excited to announce the WIRe Kenyan Scholarship. WIRe aims to raise US$5,000 from individual and company donations, matched dollar for dollar by sponsor Unilever, to award a US$10,000 scholarship to a Kenyan female student in a discipline related to market research. 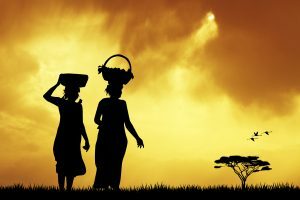 The scholarship will fund the education of an exceptional Kenyan woman student from a disadvantaged socio-economic background to give her the chance at a rewarding career in market research, both to advance the voice of women in research and also to advance the voice of African women in the practice. As such, Kenya is a prime location to award this scholarship because of the engaged research community and growing market research industry. WIRe and Unilever’s generous support of this scholarship is an excellent match with the aim and purpose of the ESOMAR Foundation mission. WIRe arms women in the marketing research industry with the tools to develop professionally, build connections and stay inspired. WIRe believes in the positive impact of women in business. WIRe’s mission is to advance the contributions of women in research, both for themselves and the greater good of the industry. Through its global reach and the creation of programming like this scholarship, WIRe continues to give women in the marketing research industry the tools to develop professionally, build connections around the world, and stay inspired. If you or your organization interested in supporting our scholarship program, click here, to learn more or contact info@esomarfoundation.org . Alternately you may visit www.womeninresearch.org to donate directly to the scholarship fund.